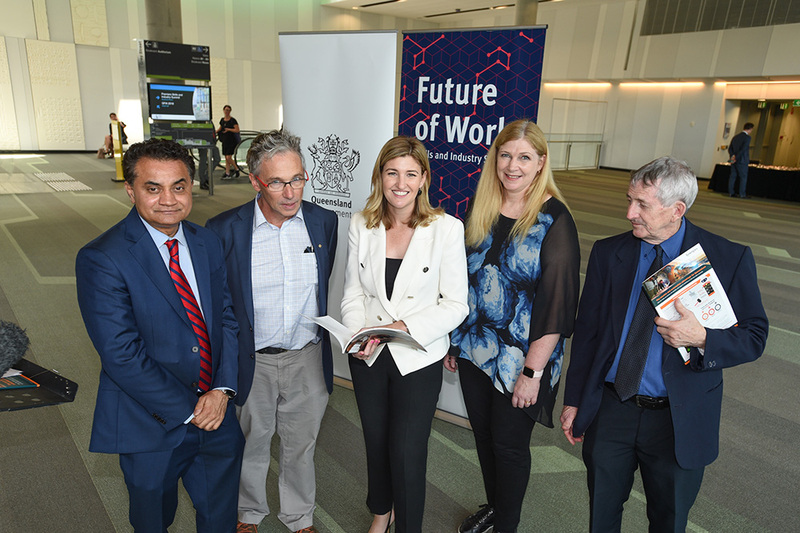 The Palaszczuk Government said it is acting today and planning for tomorrow to ensure Queensland's workforce has the skills it needs, as delegates gather for a landmark Future of Work - Skills and Industry Summit. Premier Annastacia Palaszczuk welcomed industry leaders, small business owners, educators, training providers and unions to the Roundtable and Summit to map out a practical transition to the workplace of the future. 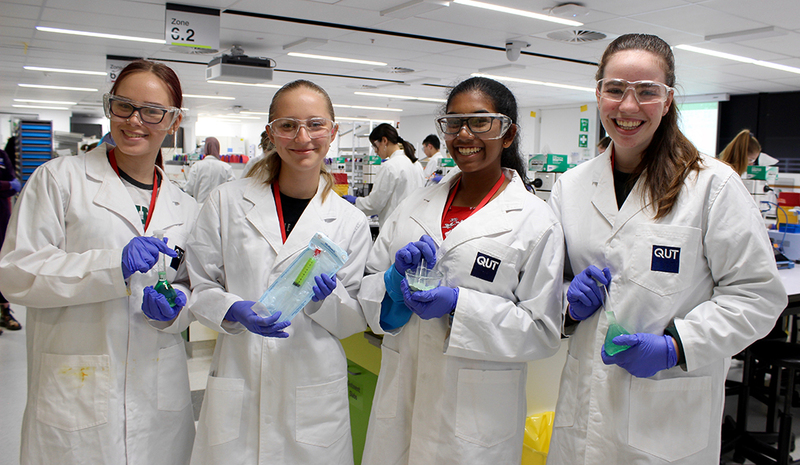 "My government has embraced advanced technology, science and new skills in everything we do," Ms Palaszczuk said. "Today the focus is on our workforce, in a rapidly changing employment environment. "We will ensure two things: that the workforce of the future has the skills it needs, and the workforce of tday can move ahead with us. "Workers of today won't be left behind, and the jobs of tomorrow won't be left unfilled. "To achieve that, we are tapping into the thinking of 20 of the biggest companies in Queensland's traditional and emerging industries at a roundtable meeting, followed by a panel discussion and workshops involving almost 200 delegates to decide how we provide the skills for the labour force of the future." The Premier said to coincide with the Skills and Industry Summit, an encouraging new report revealed the huge employment advantages of robotics and automation. The Robotics and Automation Advantage for Queensland report was developed by Synergies Economic Consulting in collaboration with the Queensland Government and the Queensland University of Technology (QUT). The report predicts that the comprehensive uptake of robotics and automation across Queensland would stimulate economic growth by 1.5 per cent, boosting Gross State Produce (GSP) by $77.2 billion over ten years and creating 485,000 more new jobs than the previous decade. "This goes to show how important it is for my govenrment to invest in innovation," the Premier said. At the launch of today's robotics and automation report, from left: Professor Arun Sharma, Distinguished Professor Peter Corke, Queensland Minister for Training and Skills Development Shannon Fentiman, Dr Sue Keay and John Mangan. QUT Vice-Chancellor Professor Margaret Sheil said it was imperative that Government, universities and industry bodies worked together to enable Queenslanders to take advantage of the opportunities of the new robotics age. “QUT is a recognised international leader in robotics and has invested significantly in terms of building both research capability as well as delivering practical robotic outcomes, such as RangerBot, the robot destined to help manage crown-of-thorns starfish on the Great Barrier Reef,” Professor Sheil said. She said the report sent a strong signal on the importance of training and education in the STEM areas of science, technology, engineering and maths because technology, robots and automation would have widespread impact on human life. STEM education will become increasingly important as robotics and automation become part of daily life. QUT’s Deputy Vice-Chancellor (Research and Commercialisation) Professor Arun Sharma said the report found the more rapid the uptake of robotics and automation across industry, the greater the escalation of economic and jobs growth. promoting the wealth-generating potential of robotics and automation. Professor Sharma said much research into robotics and the development of prototypes had been achieved by universities, often in partnership with industry and government. He said QUT was developing a robotics research project to create vision-enabled, agile and adaptable robots that small and medium-sized enterprises could use easily to make high-value products that open export opportunities and create more jobs. 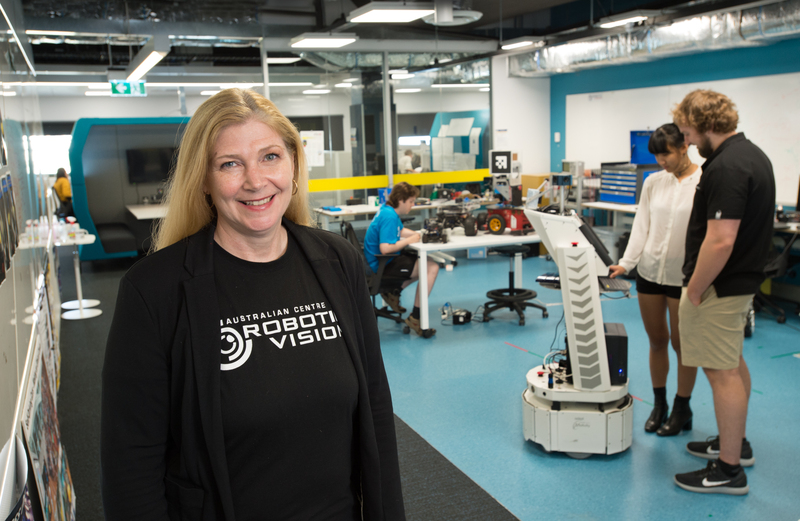 Dr Sue Keay, Chief Operating Officer of the Australian Centre for Robotic Vision, headquartered at QUT, said the report reinforced Centre-led research that robotics is key to Australia attaining productivity growth and maintaining its standard of living. Its report A Robotics Roadmap for Australia sets out how Australia can harness the benefits of a new robot economy by supporting automation across all sectors of the economy. Dr Sue Keay says robotics is key to Australia attaining productivity growth and maintaining its standard of living. Dr Keay said the Centre was leading national research and development into robotics across a range of industries crucial to Australia’s economic activity. Looking ahead, Dr Keay said Queensland was also perfectly positioned to host a world-leading ‘technology cluster’ to further advance development of a robot economy with national and global impact. “A good example of this can be seen in the transformation of Pittsburgh in the United States, where a cluster of small- to-medium sized enterprises secured $499m venture capital in 2014-15 alone. Dr Keay said the transformative technology of robotic vision was considered the ‘Final Frontier’ in creating truly useful robots able to enhance the wellbeing of all people and our planet. “Robotics is all about enhancing human life in some way – by creating safer and more meaningful jobs; overcoming service barriers to remote communities; reducing healthcare costs; attracting capital investment and reshoring jobs back home,” she said.